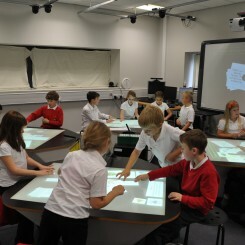 Multi-touch tables or ‘multi-user smart desks’ have been trialled in a three-year research project at Durham. More than 400 pupils and their teachers tested the new design for the classroom of the future, nick-named the ‘Star Trek classroom’. 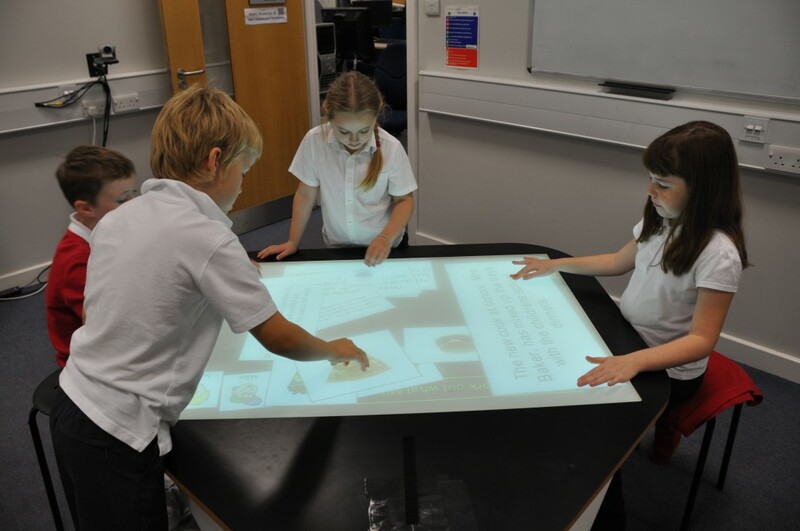 The researchers of the University’s Technology-Enhanced Learning Research Group (TEL) designed new learning environments using interactive multi-touch desks that look and act like a furniture version of an iPad. 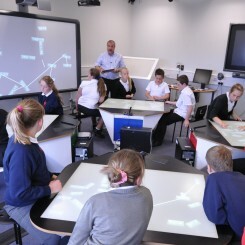 Could that be a design for the ‘classroom of the future’? 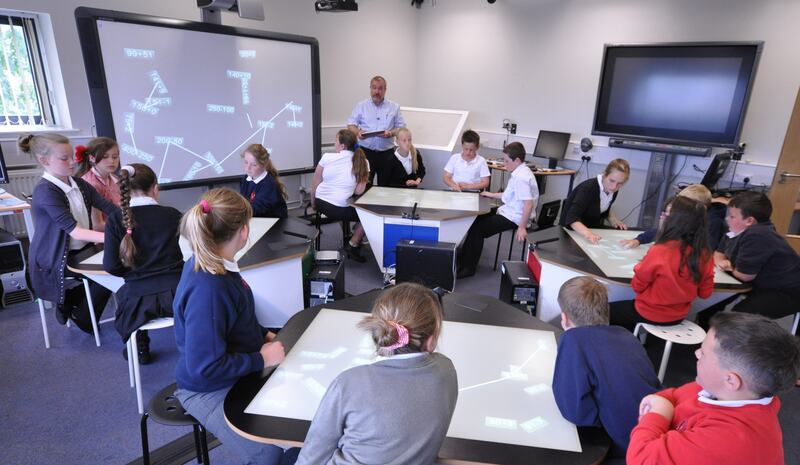 A recent research paper suggests that this new classroom design supports the learners’ collaboration and interaction. TEL’s interactive classroom solution is called SynergyNet. It is designed to achieve active student engagement and learning by sharing, problem-solving and creating. To test the new design TEL learning experts compare the achievement to groups performing the same task in a standard or paper-based versions. For their latest research paper TEL looked at small groups of 10- to 11-year-old children who undertook a history task. They had to connect various pieces of information about a mining accident to reach a consensus about who had been responsible. 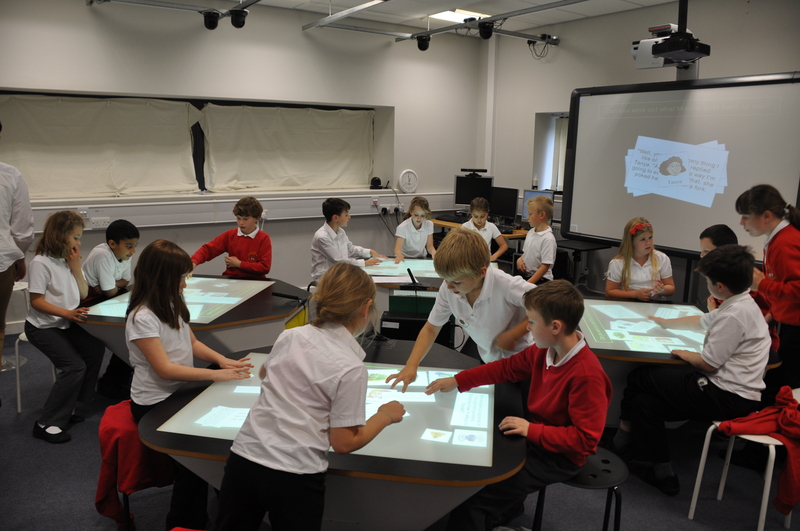 Their interaction using traditional paper-based resources was compared with their interaction when using a multi-touch table. 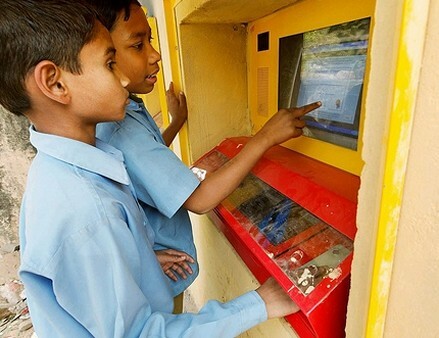 The researchers found that the design and capabilities of the multi-touch technology offers some key features that supported the collaboration and interaction of the participants, particularly in the early stages of the task. The TEL learning experts based their research and design on the simple principle that seeing what your friends are doing, and being able to fully participate in group activities, offers new and effective ways of working in class. 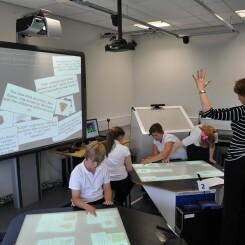 The new classroom system means that the ‘move-to-use’ whiteboard is replaced by and connected to the new desks that can be both screen and keyboard. 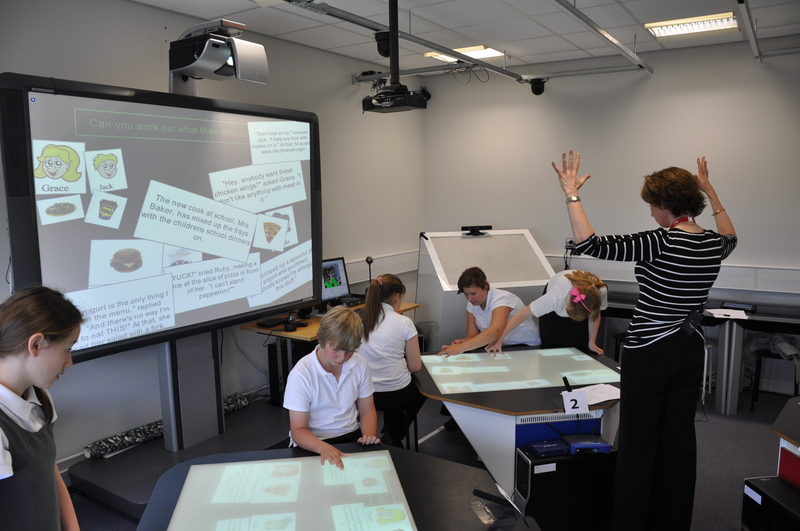 TEL also conducted a first pilot study enabling teachers to use the Kinect to run the SynergyNet classroom. Even though SynergyNet’s design for the classroom of the future is still in its early stages, this new vision of the classroom is a promising, engaging approach to put technology in the learning equation. You can also find the SynergyNet project and software on the Google code repository: http://synergynet.googlecode.com. If you’re interested in developing with SynergyNet read this article by TEL team member James McNaughton.